The kukri or khukuri, originally a utility and ceremonial blade, has become a national symbol of Nepal and the fierce Gurkha warriors. 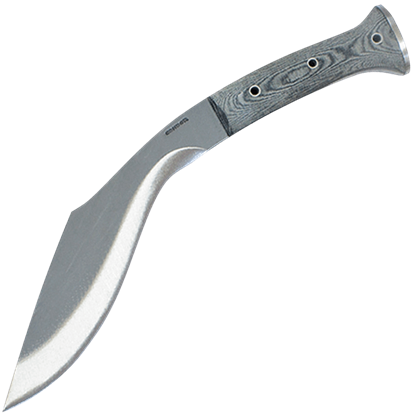 This 17 Inch Stainless Steel Kukri displays the traditional curved shape of this formidable weapon. 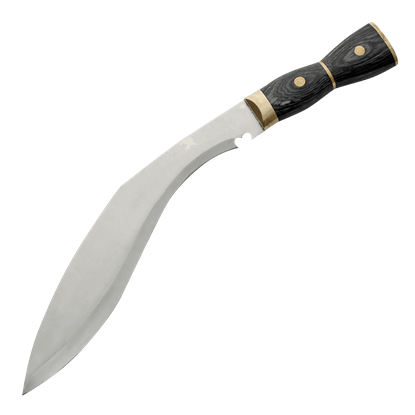 This Assam Rifles Kukri is made to military stands for issue to the Gurkhas Assam Rifles Regiment. Quality construction ensures that this kukri is not only a workhorse, but also a reliable blade that excels at cutting and chopping. When it comes to the knife, few are as famous as the khukri. The unique shape lends to brilliantly effective cutting and thrusting power, and this Assamee Khukri Knife does not fail to deliver a design that lives up to its name. 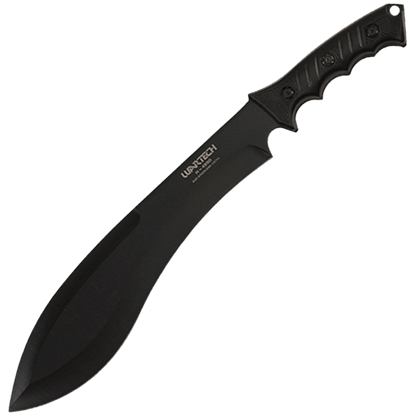 Master the great outdoors with the Black Kukri Survival Knife. Its blade follows a traditional design that has withstood the test of time, perfect for tackling the myriad of tasks and challenges that await the modern survivalist. 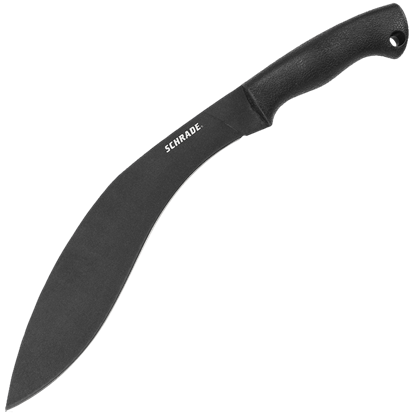 A good kukri knife can provide you with a very handy weapon, one that can be used in about any survival situation or outdoor chore. This Black Stealth Gurkha Kukri makes a great lightweight blade that is also quite sleek to behold. Every inch of a soldiers kit must be used in the most condensed, functional way possible, making the Chaos Kukri a great choice for a tactical knife. Its trench knife-inspired design steps up to the challenges of the modern warrior. 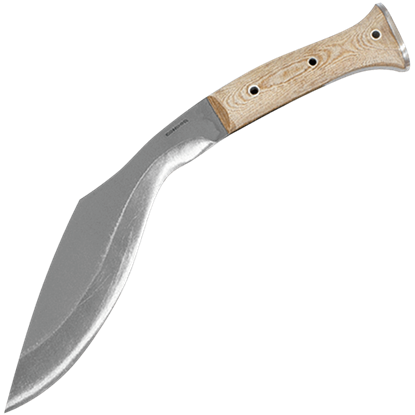 With a clean-cut design based on the traditional Nepalese knife, the Classic Kukri Knife displays a distinctive, inwardly curved edge. Made from stainless steel, this functional blade is a fantastic addition to any weapon collection. 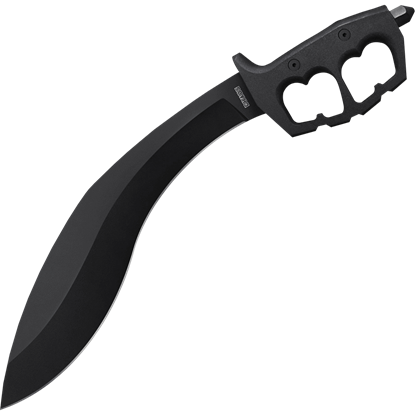 Defend yourself like the toughest of warriors with the Combat Commander Kukri. 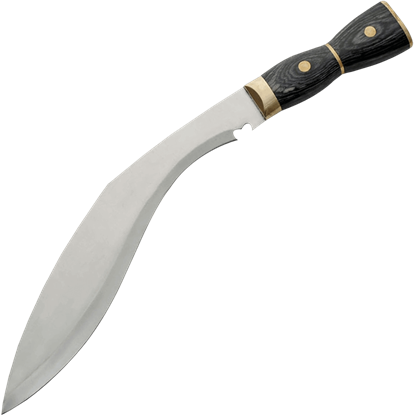 Based on the utility and ceremonial knife wielded by the Gurkha regiments from Nepal, India, and elsewhere, the kukri is a formidable weapon. 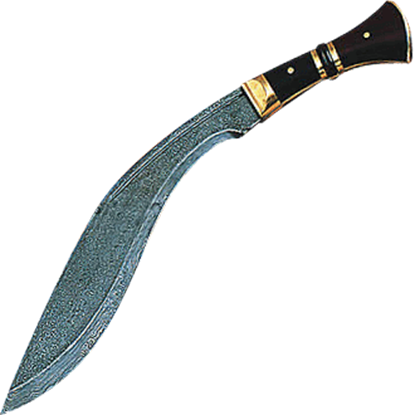 For centuries, the Nepalese military has armed itself with the kukri, a blade so useful that other military groups in other countries, such as Britain, have followed suit. Put yourself in good company with the Condor K-Tact Army Kukri. 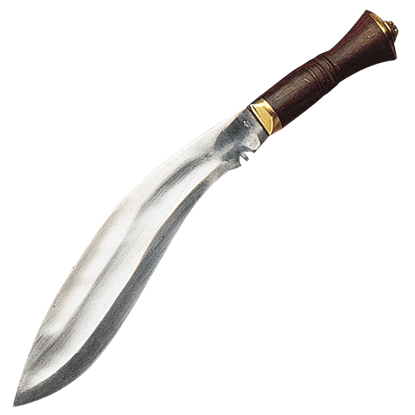 One of the most widely appreciated swords is the kukri, a curved blade developed by the Nepalese. This blade is so loved, in fact, that it has been modified to fit knives from all over the world, such as the Condor K-Tact Desert Kukri. Imagine if the legendary kukri, famed for its cutting power, was combined with the strength and durability of damascus steel! Actually, you do not have to, because in this Damascus Regimental Khukri, that combination becomes a reality.